Do signs point to another housing boom? Perhaps — home sales are poised to zoom to the highest levels since 2006 next year, according to a 2016 housing forecast issued by realtor.com®. Gains in new-home construction and existing home sales are both expected to push total home sales to the highest levels in years. The new-home construction market is expected to see the most gains in 2016, with realtor.com® forecasting a 12 percent year-over-year increase in housing starts and a 16 percent year-over-year growth in new home sales. 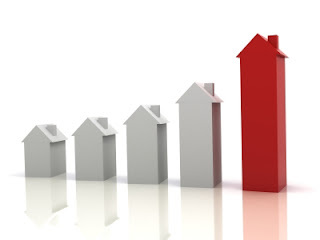 The gains in existing-home sales are expected to be more moderate, with expectations of a 3 percent year-over-year gain. Total sales for existing and new homes are expected to reach 6 million for the first time since 2006 next year. Fueling the increase in total sales, realtor.com® predicts three distinct segments of home buyers to dominate: older millennials (25 to 34 years old); younger Generation Xers (35 to 44 years old), and retirees (65 to 74 years old), Smoke says. Millennials: Millennials are expected to make up the largest demographic of buyers in the coming year at 30 percent of the existing home market. Young Generation Xers: Buyers between the ages of 35 to 44 years old are likely to make up the second largest population of buyers in 2016. Retirees: The third largest segment of home buyers in 2016 are expected to be individuals or couples who are looking to relocate or retire between the ages of 65 and 74. New retirees are expected to fuel a trend in downsizing and seeking out ways to lower their cost of living.